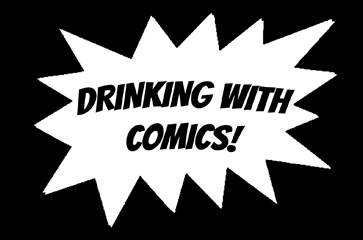 Drinking with Comics! Featuring Mike Wellman! Topics of discussion range from Chris’ new comedy album Celebrities Poop, to Saranac Brewery’s White IPA, to how Marvel should approach the inevitable recasting of the cast of the Avengers. Oh yeah, and the 90′s unforgiveable trend of gimmicky comic book covers goes to trial — is X-Force #1′s poly-bagged ridiculousness worse than Chromium? Tune in to find out!!! Check out Mike's hilarious hijinks with Mike and Shawn!